I've always been slightly wary of piping, it's always seemed daunting to me, but I decided it was time to give it a try. 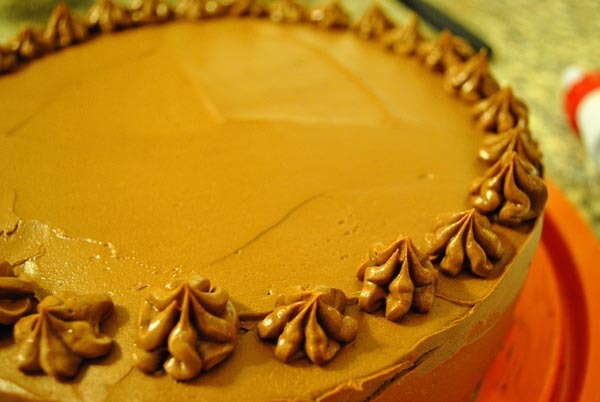 My tip: try it with the same icing that's on the cake. I messed up the first time or two and just wiped it off and started again. I used one of the little icing kits you pick up at the supermarket. I used the larger star tip for the border and the plain tip for the letters. 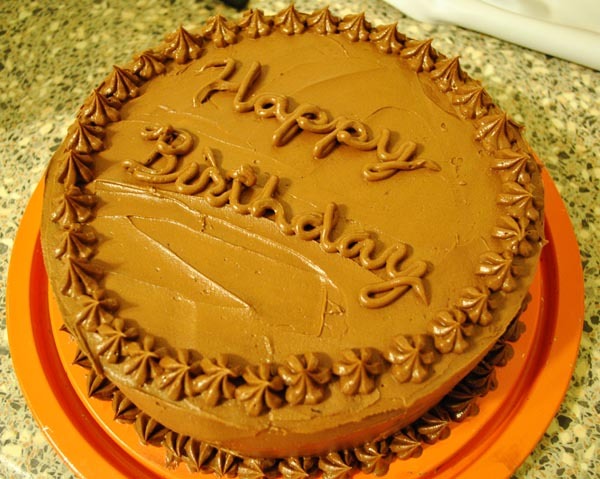 I think that icing consistency was pretty important. 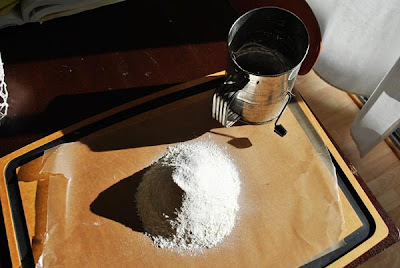 Mine was pretty light because the whipped butter was holding it together more than just adding powdered sugar. Our friend requested a chocolate cake for his birthday, and I delivered. 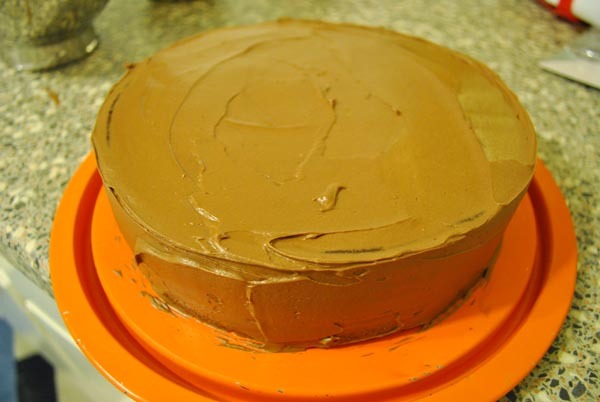 Devil's Food Cake with chocolate icing coming up. 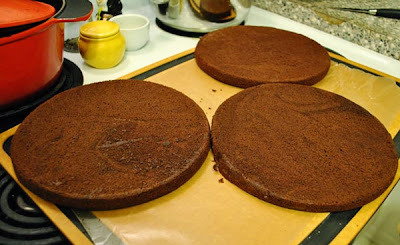 Preheat oven to 350 degrees, butter and flour 3 8-inch round cake pans, line with parchment. 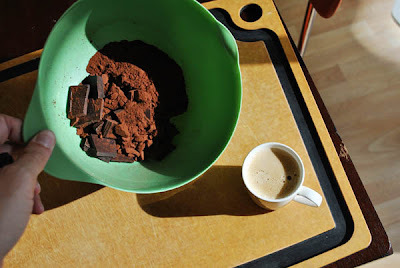 Put chocolate and cocoa in a bowl, pour water and espresso over and whisk until smooth. Sift flour, soda and salt onto a sheet of waxed paper. 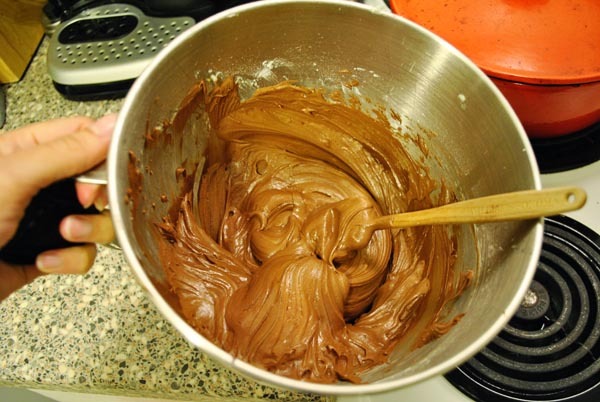 Beat butter until creamy, add brown sugar and continue blending. Add eggs one at a time, blend until smooth. Add Greek yogurt and vanilla and blend until smooth. 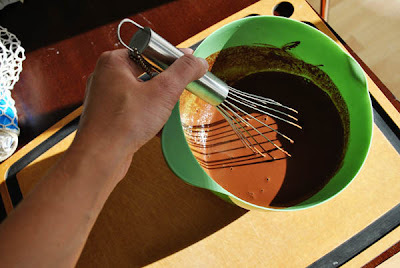 Add 1/3 of flour mixture to butter mixture, blend, add 1/2 of chocolate mixture and blend, repeat until all ingredients are blended. 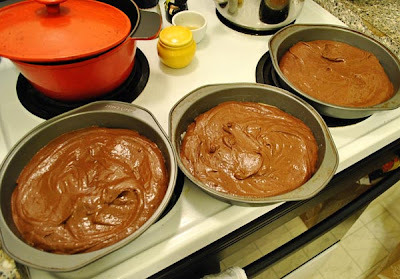 Divide batter evenly between 3 pans, bake for 20-23 minutes. Not bad for my first time with icing letters. 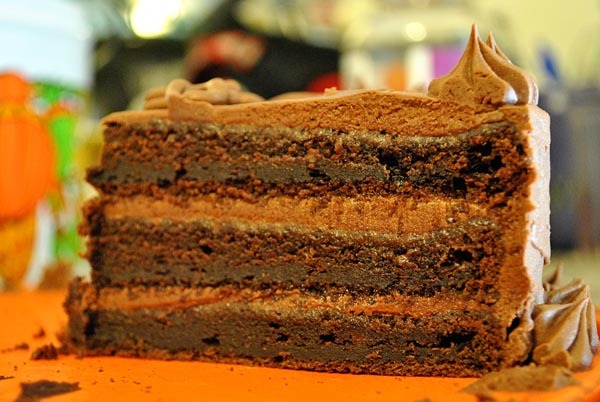 And it tasted great, the cake was almost brownie-like and the frosting wasn't overly sweet.